Korean company Nasotec Corporation recently got in touch with Hifi Pig to introduce us to their Swing Headshell that looks pretty interesting for all you vinylistas. This ‘Swing Headshell’ has a very soft and flexible joint designed to make your cartridge always align with the tangent of the groove circle. The joint precisely machined joint has small miniature bearing inside making the “swing” of the headshell very smooth and sensitive which Nasotec say will ensure the stylus keeps delicate and unbiased groove tracking. Nasotec say that the Swing Headshell will reduce tracking angle error when installed properly and should give a better sound quality than fixed headshells. The company also claims that most of the vibration from the cartridge will be dissipated at the joint and should reduce arm resonances. 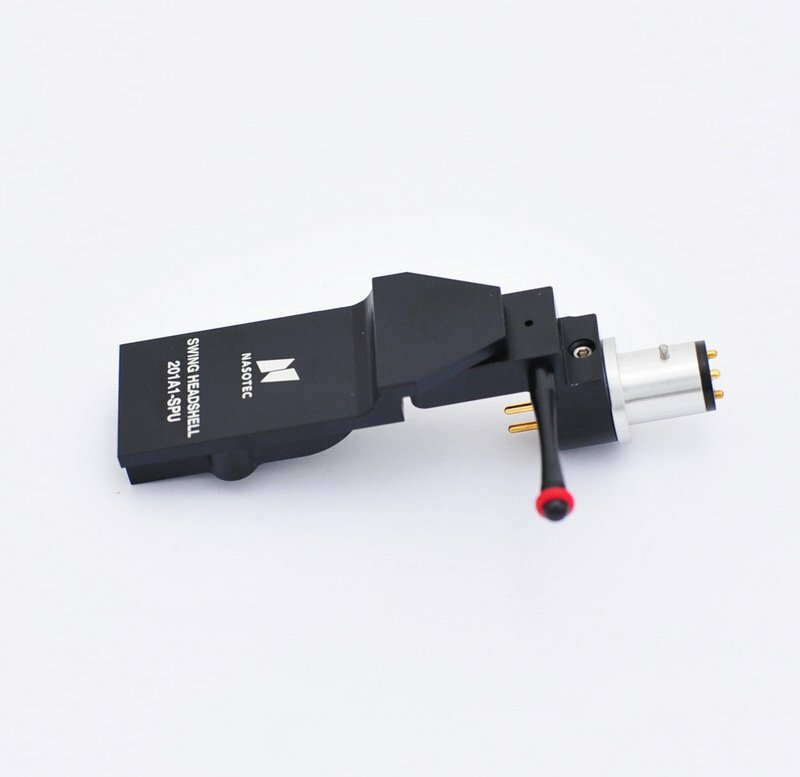 In effect Nasotec say that the Swing Headshell acts almost as if it were another, and very short, tonearm and will offer up a more stable stereo image than fixed headshell cartridges. The company y also say that adding the Swing Headshell to your arm will extend the life of your stylus. The Swing Headshell is available in three different styles to suit different tonearm and cartridge set ups and costs from $295 to $335.